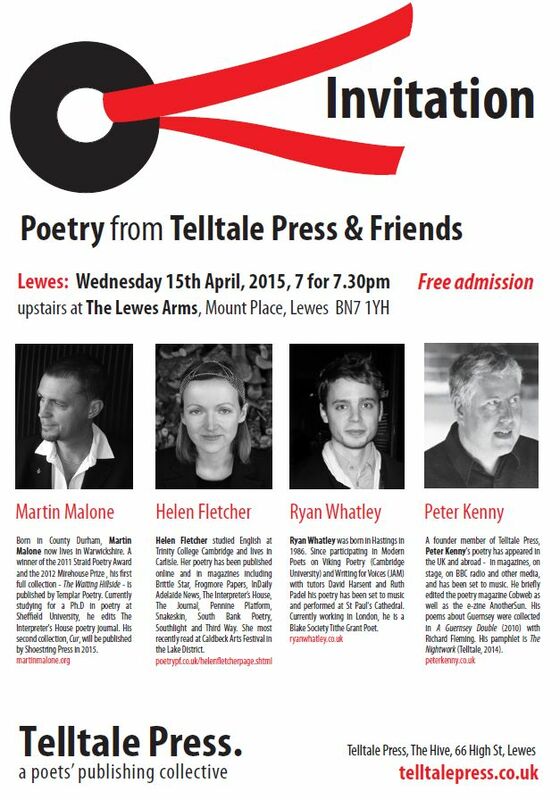 Really excited to be doing this reading in Lewes, and to meet Martin Malone, editor of The Interpreter’s House, Helen Fletcher who is trekking from Carlisle to share her poetry with us and Ryan Whatley an exciting new poet whose work Robin Houghton and I read recently and really liked. A bonus is that it that the reading is in The Lewes Arms, which is an utterly excellent pub. This entry was posted in Poetry, Readings, Telltale Press and tagged Helen Fletcher, Martin Malone, Ryan Whatley, Telltale Press, The Interpreter's House, The Lewes Arms. Bookmark the permalink.